So Necessary: Adidas Stan Smith | iamstylingonyou. My big sister was a huge and still is huge a Adidas fan. I remember her wearing gazelles as a kid and wished that we had the same shoe size so I could wear hers to school. My older sister is the first person who instilled the importance of having a quality sneaker collection in my life. She had Stan Smiths in every color and will wear them with the flyest sweatsuits to school. So I have always had a love for them. However it’s really hard for me to keep white shoes clean so I have ran through several pairs of Stan Smiths. My favorite story about a pair of Smith’s that I had was when I was living in Atlanta and I was hanging out with my sister by Stankonia and Alex studios. We had friends there and used visit them during the summertime. We were getting out the car and going into the neighboring studio was TI. He waved and said hello and then asked me could he have my shoes. I looked at him crazy and joked that he was going to have to pay me for them. Because they were that fresh. Later on that day we all played basketball outside on the court that they had with TI in my Stan Smiths. Short but sweet story. 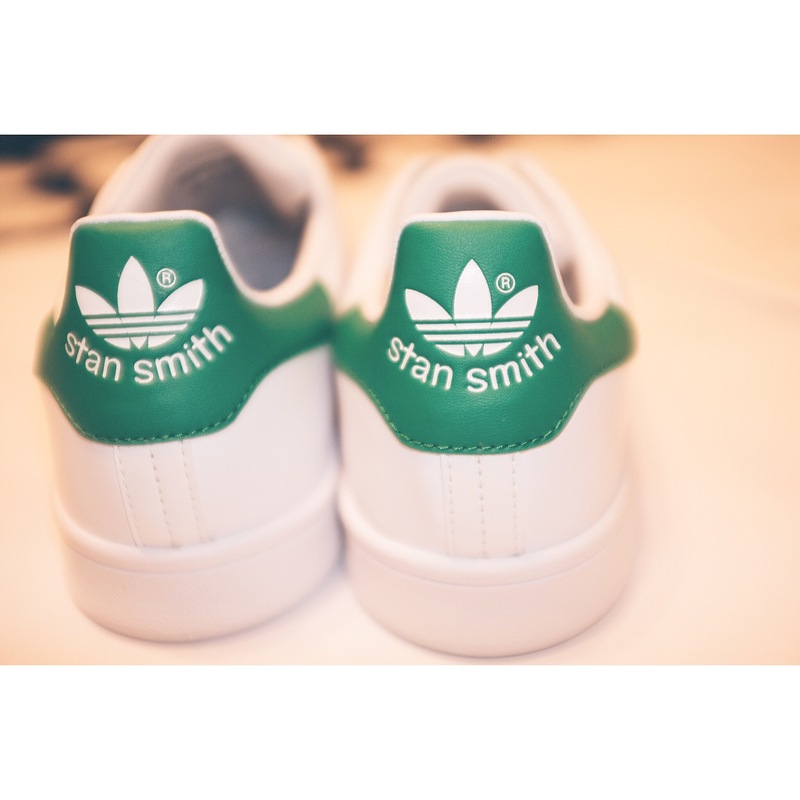 I say all to say that Stan Smith and Adidas have always been essential and still are. Get you some. Great I will check it out! Pingback: Obsessed With… | iamstylingonyou.